When Deet contacts your sonar unit, it will discolor the hard-plastic casing. That’s right it will pit the plastic shell with tiny white spots. Can’t help but think what it does to us, yikes! This pitting and discoloring will also occur with several items besides your sonar unit. Watches, GPS units, line cutters, cell phones, the list goes on. Summer in the outdoors and mosquitos go hand in hand. Bill and I were on another magnificent Plummer’s Lodges trip when we discovered the reaction between Deet and color-dyed hard plastic. The Lowrance Elite 5X Chirp is our awesome travel sonar. 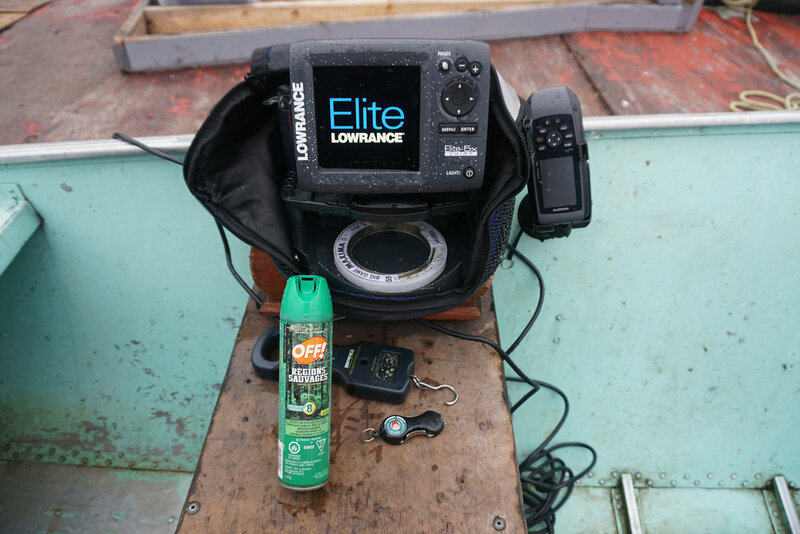 Don’t learn the hard way, keep OFF away, and other bug sprays, from your sonar unit and plastic gear. This has been a BBZ Public Safety Announcement. Please standby.